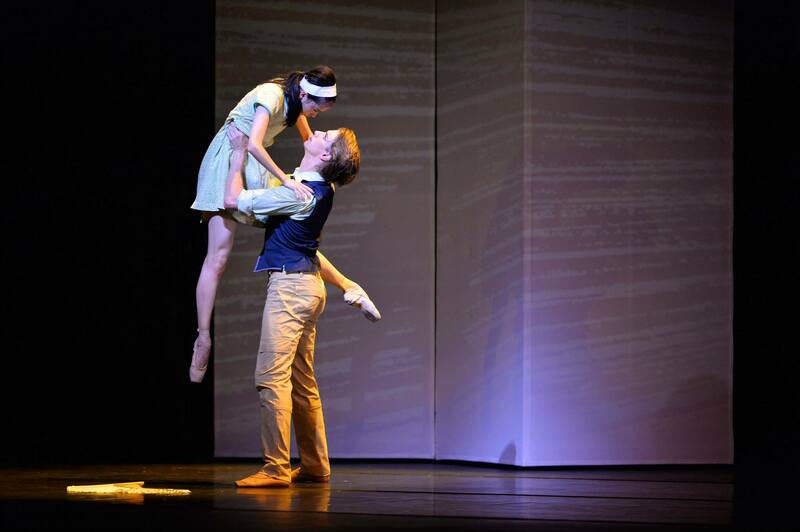 I am involved in designing costumes for an exciting new work that opened with the Hong Kong Ballet on Friday. 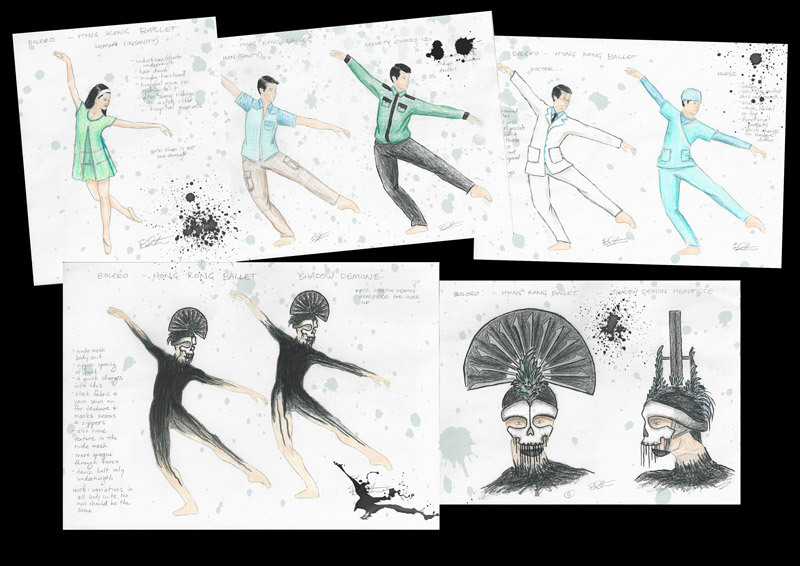 It’s a new and very modern interpretation of the classic Bolero, choreographed by Yuh Egami and Ricky Hu, with costume designs by me! A favourable review in the SCMP just came out today, complete with an insightful summery about the story. (see below, or read it online here). 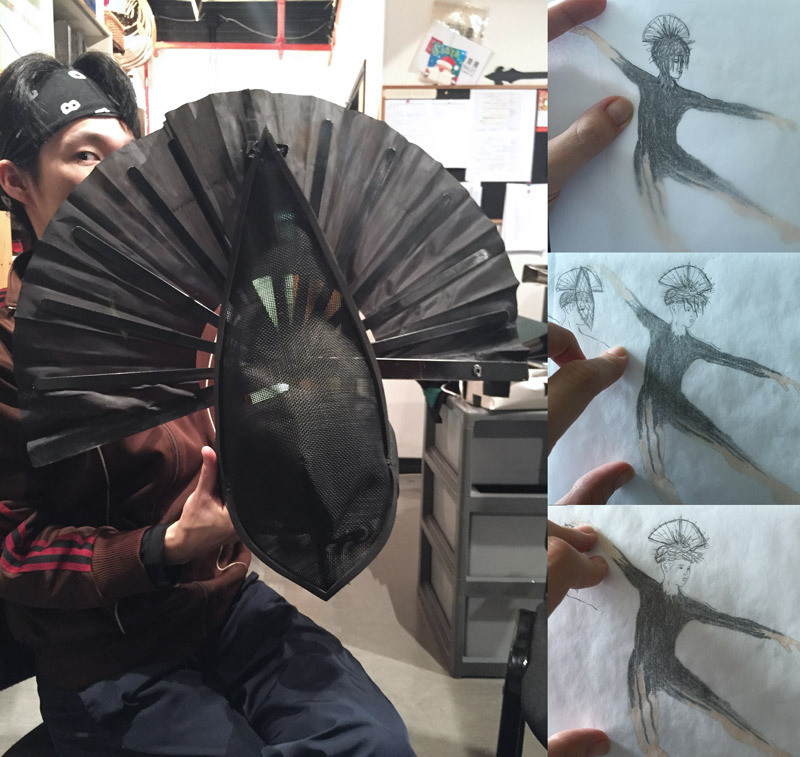 Here’s an overview of my behind the scenes process of designing costumes. 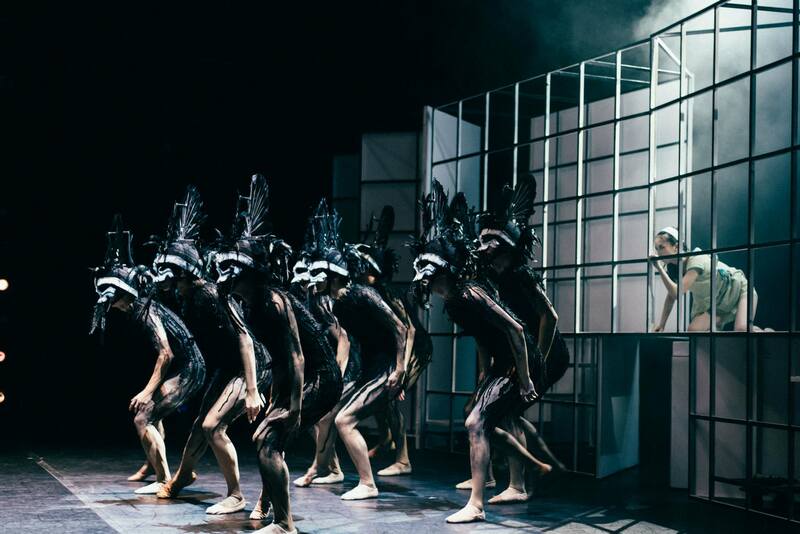 I start by talking to the choreographers about the ideas and images they have in mind and their general impressions about the story they want to tell. I then set to work on hours of research and creative contemplation. I return to the choreographers with my ideas and I barrage them with hundreds of the researched images. This will inspire further ideas of their own, and we will begin to narrow down what is most suitable for this production. The best part of working with Yuh and Ricky is that we already trust each other enough to blurt out the wackiest ideas we can imagine, even if we’re not sure they will work, and without fear of negative repercussions. It’s so freeing – anything goes when we’re brainstorming! 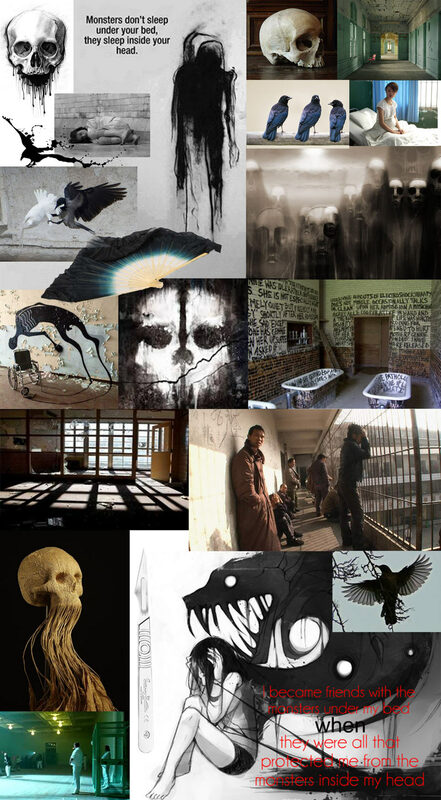 This is a mood board of some of the images we loved after they’d been substantially narrowed down. Somewhere around this time, I set to work rendering costumes, sketching multiple possibilities, and experimenting with colour. This show was fairly straight forward. It’s set in a hospital/mental health facility so I wanted to incorporate different hospital-like greens in the costumes as I knew the set would be black and white in colour. The monsters/shadows/demons, on the other hand, were a key feature with challenging design demands. Ricky and Yuh had their hearts set on helmets fitted with working fans. 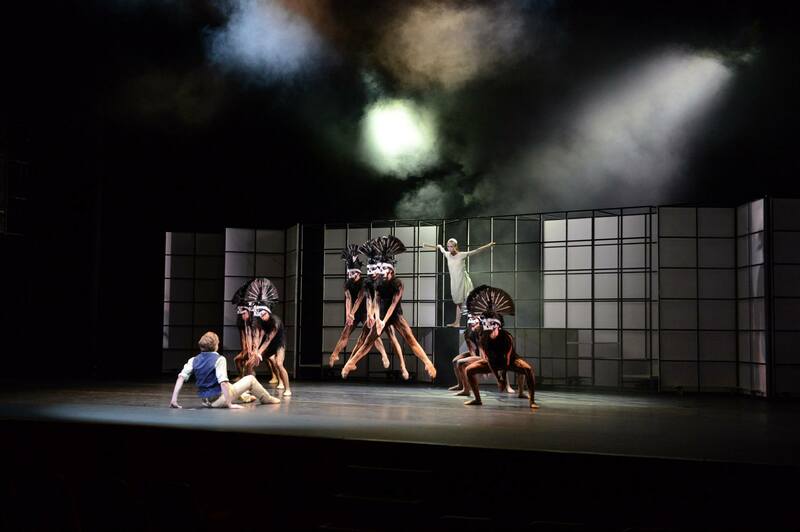 They had experimented with something like it in a past piece and were eager to incorporate the look into this new production. I like to use tracing paper when I’m coming up with quick sketches so I don’t have to keep drawing the same thing over and over. In this way, I can just concentrate on the headpiece. I then get specific by doing a more detailed close-up illustration. Together with Yuh & Ricky, we decided which headpiece we liked best and then ta-da! The final design is complete (on paper that is)! 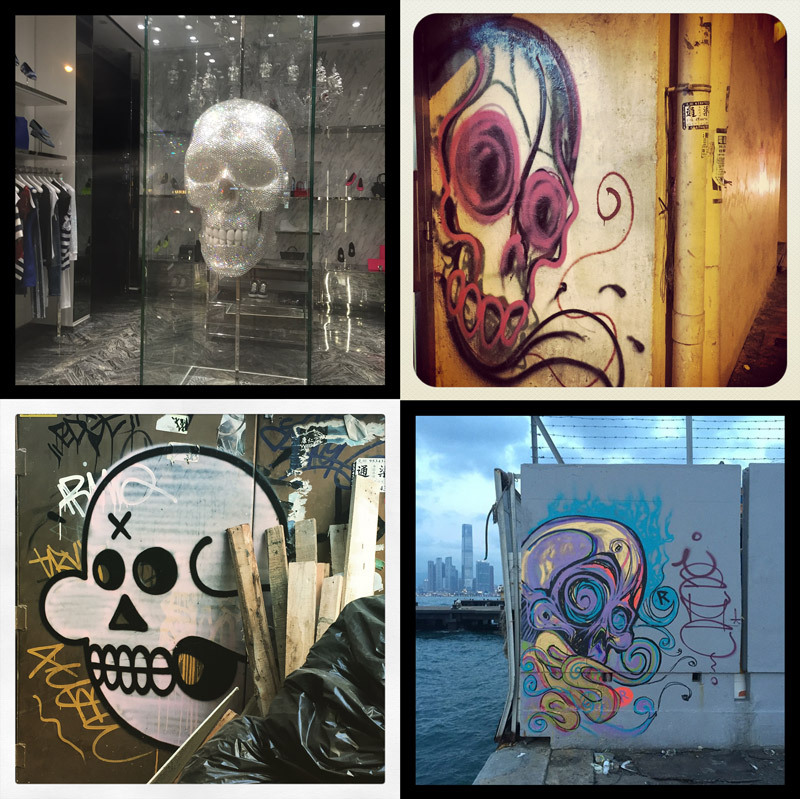 Throughout the whole process I see skulls everywhere; graffiti on walls, skulls in shop windows. This always happens to me when I’m designing. I discuss my costume designs with the Wardrobe Director, Joanne Chong, about intended cut, fit, embellishments, and then we hunt for fabric retailers and search through dusty fabric samples for the perfect swatches. We also discuss the specifics of the headpieces with Aya Mok, the props maker, and then they all use their knowledge and skills to turn it into reality. Frequently, they make excellent suggestions and add their own touches, which I love, as it makes the whole process a beautiful collaboration of amazing talents. For the shadow demons, I spent several hours pinning strips of black fabric to a mannequin, as a sample, and it was barely a quarter of the way finished by the time I left. I can only imagine how long it took them to complete all 9—plus any extras. I bow before the wardrobe goddesses and the slavery I subjected them to! Designers are cruel dictators but I hope we all agree it was worth it considering the beauty of the final result. The photo on the far right is from the first dress rehearsal in the rehearsal studio. Most of these are Aya’s photos from her workshop, and I believe that’s her in the middle, modelling one of the earlier versions of the headpiece. The photo on the far right is from our first dress rehearsal. After that we did some adjustments. Most of them were fairly minor but we did one semi-major change to the lead male’s costume based on the choreographers’ insight into the nature of the character which they had solidified in rehearsal. So I did a combination of reinvention/salvaging of his costume. You can see from my costume drawings that we cut the plaid short-sleeved shirt and instead I went with a solid green long-sleeved shirt and a vest. We changed him from “boy next door” to a more sophisticated Hong Kong man. I think it was an excellent decision and I expertly concocted a way to make it look like it was my original intention. Next thing you know we were on stage, in costume, for dress rehearsal. And then it was opening night! 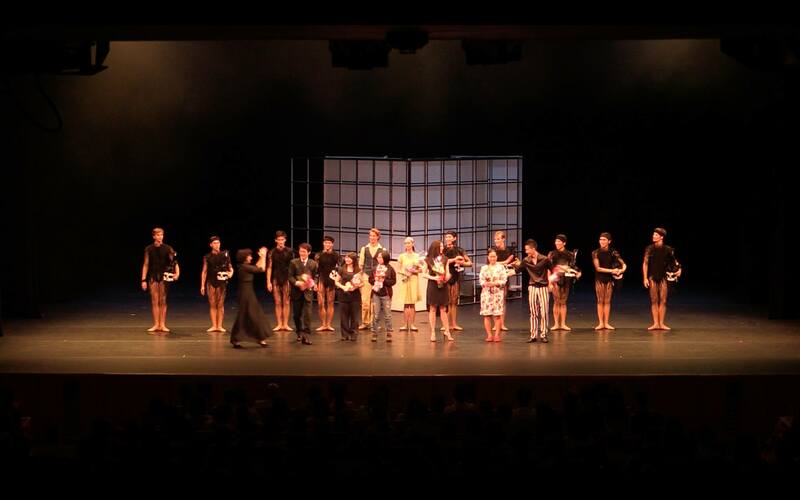 And even I was taking a bow & holding flowers. Awwwwh, how sweet!